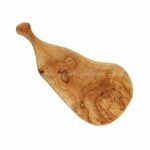 This olive wood decorative trivet looks amazing on any table or kitchen worksurface, to protect your table from hot dishes. A very hard wood, olive wood will withstand heat very well, this is due to the density of the grain. 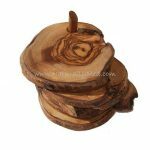 These wooden trivets are rustic in design, they show the cross-section grain through the branch. 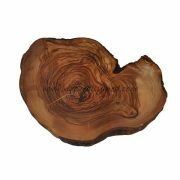 They have a natural bark edge and also can feature natural holes and crevices. 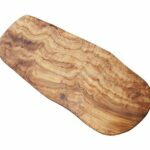 Thickness of these olive wood trivet is approx 1″. 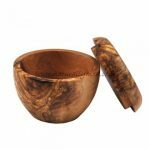 Shape and size vary with each piece because they are handmade from the branches.